On July 18th 2017, Merkle made yet another splash in the world of digital marketing. 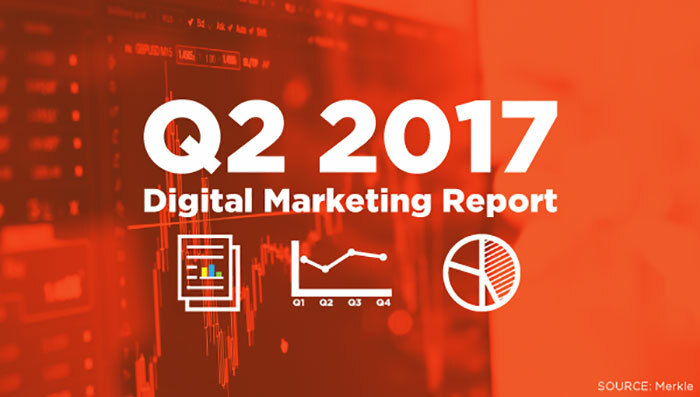 The leading marketing agency in data-driven technology released their highly anticipated Q2 2017 Marketing Report. This report breaks down the trends of the internet marketing industry in terms of paid search, social media, display and organic search. As well as revealing highly sought after insights into how well major players in the industry are performing overall: Such as Google, Facebook, Amazon and Microsoft. Merkle hosted a webinar on Wednesday July 19th to elaborate and back up their research. According to the Digital Marketing Report, the two current top dogs of the digital marketing industry were Google and Facebook. Both companies search spending increased exponentially with Google’s shooting up to 23% Y/Y. The report also noted several factors that impacted main marketing developments, including Google’s €2.42 billion fine levied by the European Commission in June, the strength of PLAs, and the mid-quarter change to Google’s Ad Rank calculation. Mobile still dominates spending growth across all digital ad platforms, though desktop has been on the upswing for Google in the recent quarters. Desktop was not as kind to Facebook however with zero signs of rebounding strength for their desktop traffic. That’s not to say Facebook was hurting as spending increased by 56% Y/Y. Despite Ad loads rocking the industry in recent years, organic search visits continue to grow in Q2 2017, increasing to a total of 1% Y/Y, up from a previous quarter decline of 4%. Amazon and its Sponsored Products ad formats appear as if generating interest will continue over the long haul, however overall embracing of the platform is low compared to Google’s PLAs. Total search spending rose 20% Y/Y in Q2 2017, up from 15% growth in Q1. CPCs rose 1% in Q2, similar to Q1 growth, but click growth accelerated to 18% Y/Y from 14% in Q1. Google search ad spending rose 23% Y/Y in Q2 2017, up from 21% growth in Q1. Click growth accelerated to just under 23%, while CPC growth was steady at less than 1%. Bing Ads and Yahoo Gemini combined search ad spending fell 3% Y/Y in Q2 2017, an improvement from a 14% decline in Q1. Bing Product Ad spend growth improved to 11% Y/Y. The AdWords Get Location Details click type, which is produced by the Google Maps property, accounted for nearly 7% of brand keyword ad clicks on phones in June 2017, up from 5% a quarter earlier. Organic search visits grew 1% Y/Y overall in Q2 2017, up from a 4% decline a quarter earlier. Phone organic search visits grew slightly faster in Q2, at a rate of 15% Y/Y, but most gains came from smaller declines for tablet and desktop. Mobile share of organic search visits held steady at 51%, remaining below the share of paid search clicks produced by mobile, which stood at 58% in Q2 2017. The share of all site visits produced by social media was 3% in Q2 2017, up from a share of 2.6% a year earlier. On mobile, social continues to have a larger impact on site visits, accounting for 3.7% of traffic from phones and tablets. The eBay Commerce Network’s share of all CSE spend from 68% in Q1 to 63% in Q2, as eBay stopped showing its product ads on ebay.com in May. Phones and tablets accounted for just 6% of all CSE traffic in Q2, a decline from 9% in Q1. Advertisers spent 43% more on Amazon Sponsored Products in Q2 2017 than in Q1, compared to 24% Q/Q growth for Google Shopping spend. Facebook ad spend increased 56% Y/Y in Q2 2017, in line with Q1 growth. Facebook CPC fell 3% Y/Y, while CPMs jumped 57%. Phones and tablets combined continue to dominate Facebook ad spend in Q2, and mobile spend share increased from 76% in Q1 2017 to 82% in Q2. 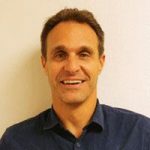 Phones produced 43% of all Google Display Network spend in Q2, while 12% came from tablets, as desktop computers slipped below a majority of GDN spend for the first time.